Mark Phillips has sold more than seven million square feet in transactions valued in excess of $500 million during his long tenure in commercial real estate. Mark is vice president of Newmark Grubb Levy Strange Beffort and specializes in government-leased investment sales, office and industrial investments. He has known Tom Hosier, Stearns Bank’s Arizona market manager, since 2008. Over that period, he has worked with the Arizona branch on many real estate sales. Mark also has worked with Stearns Bank owner Norman C. Skalicky on several transactions. It’s a relationship he greatly values. Because of how well he works with Tom, Mark has started a separate business banking account with Stearns Bank. He also has referred several of his friends, associates and customers to the bank. “Our challenge was we had never done this before. The relationship was really important to me. Stearns Bank had a real understanding with what we wanted to do with this project." 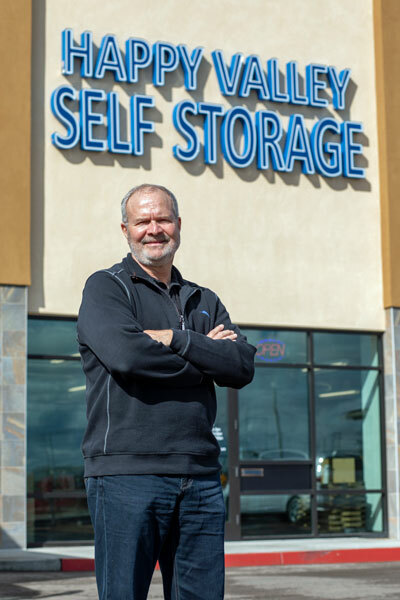 In addition to working with Tom through Newmark Grubb Levy Strange Beffort, Mark developed a self-storage unit in North Central Phoenix called Happy Valley Self-Storage as a general partner. Mark and his partners got proposals from several banks, but ultimately moved forward with Stearns Bank. Their choice had a lot to do with Mark’s strong relationship with Tom and Norm and knowing he can rely on Stearns Bank, which is an industry leader in construction loans. “Our challenge was we had never done this before. The relationship was really important to me. Stearns Bank had a real understanding with what we wanted to do with this project,” Mark said. “They had knowledge of the market. We did a loan to build 80,000 square feet of self-storage in the North Central Phoenix market. Mark values trust in his relationship with Tom. “We have a very good business relationship. If he says he’s going to get something done, he does. I do the same for him. We trust each other,” Mark said.